Elon Musk Revealed that Tesla owners will be able to name their cars "like a pet." 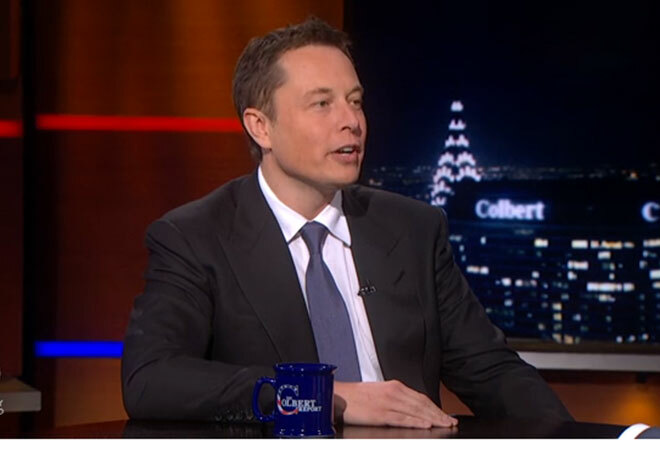 Tesla CEO, Elon Musk, appeared on The Colbert Report last week to share that, thanks to a new software, Tesla owners will soon be able to name their car “like a pet.” Musk confessed that he calls his Model S Old Faithful, but revealed little else about the technology, leaving us to wonder: what are the benefits of being on a first name basis with your Tesla? It may not be coincidental that Tesla wants to give its customers the freedom to name their cars whatever they want. Earlier this year, Ford threatened to sue the electric car company when it tried to call its upcoming vehicle the Model E, a name Ford has already used. Musk claimed that he chose this particular letter because adding an “E” to the Tesla fleet would spell out the acrostic, “S-E-X.” After choosing not to do battle with Ford over the title, Tesla announced that the new vehicle will be called the Model 3. The Model 3 won’t be available until 2017 though, so in the meantime, Tesla owners should start preparing for their software update and the great responsibility of picking a name for their ride. For inspiration, check out this list of 100 Most Popular Cat Names. Personally, we like Precious. Or Gizmo. Previous articlePop Quiz: How Much Do You Know About Donald Sterling?